We’ll work with you to create a design that meets your individual needs, style and budget. is a full service landscape company. Custom Built Pergolas, Cabanas, Arbors, Patios and Decks Schedule a Free Consultation Today! Let us install your new paver patio, driveway or walkway for a fresh new look! Bringing Your Outdoor Designs To Life! Acadian Landscapes of Louisiana is a Landscape Design (Landscape design by Alphonse Barcia III Landscape Architect. LLC. ), Installation, and Build company providing exceptional service to Southeast Louisiana residential and commercial customers for over 30+ years. 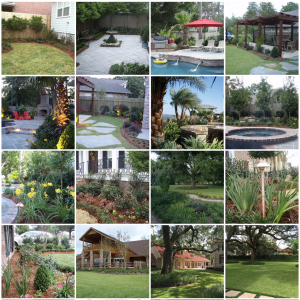 Acadian Landscapes of Louisiana specializes in creating outdoor living environments that are designed to bring family and friends together. With our professional guidance we can create a design that reflects your individual style and budget. Whether your job is large or small, our team of skilled designers, managers and experienced craftsmen are all focused on delivering the highest level of professionalism throughout the process. Bring Your Outdoor Designs to Life! Acadian Landscapes of Louisiana specializes in outdoor kitchen design, landscaping, landscape maintenance, irrigation and drainage systems, stonework and hardscapes, arborist services, and exterior decor. We have proudly served the New Orleans area for over 25 years.